Transitional Design is a term I have heard mentioned a lot lately and I like to think that my home encompasses a lot of qualities that this movement embodies. I love the idea of the term and what it stands for, what it implies, and the unknowns of it. A few key words and phrases about this design upon a quick Google search make me love it even more. My favorite part of transitional design is the old world charm of tradition with contemporary glass and chrome. It is a beautiful mixture of styles and in this case describes my home. When I moved into my home after renovating it there were actually very few pieces I had to buy because I had heirlooms stashed away just ready to be moved in. Two of my pieces that make this house a home are my two Ethan Allen pieces. One was my granny's on my mom's side and the other my granmom's on my dad's side. Both of these furniture piece previous lives were in completely different homes but put together in mine they make the perfect room. 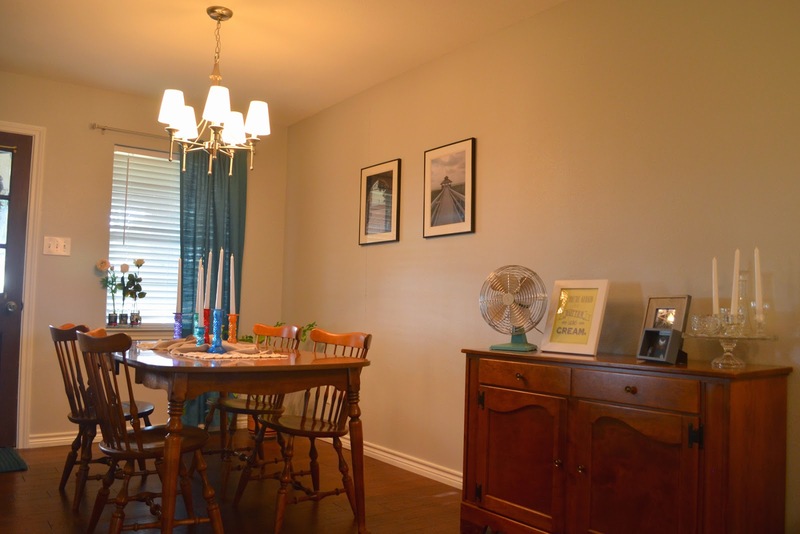 The dining table and chairs were some of the pieces I was most excited to bring into my home when I moved in. Since my grandfather's passing in 2006 the dinning table had been stored under my bed in many pieces at my parents house to protect the finish and the chairs in my grandad's shop. Not only was I ready to move in so I could quit stubbing my toe on it under my bed, but putting it back in the exact same house and place it was originally bought for put me over the moon. This table was quite the splurge for my depression era grandparents and the hope of eating around the same table I have so many childhood memories from meant the world to me. 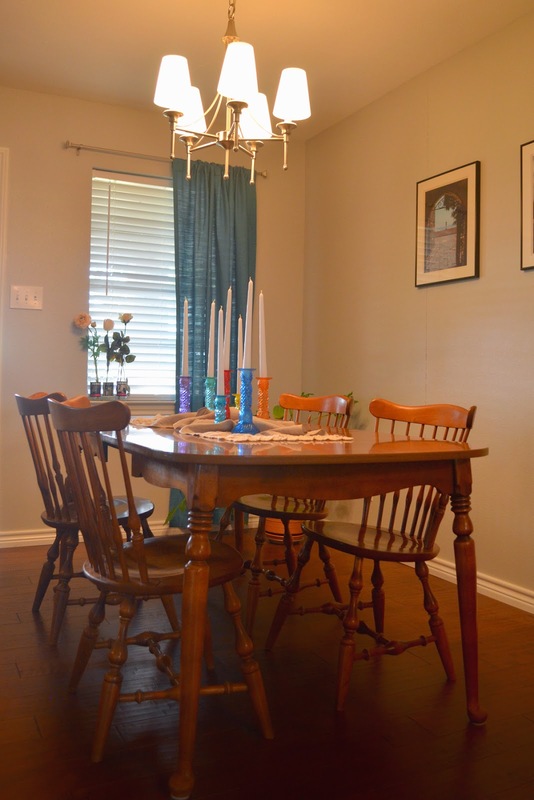 I knew that when my granny's heirloom dinning table was placed on my shinny new hardwood floors and underneath my new contemporary chandelier this home was going to come together. 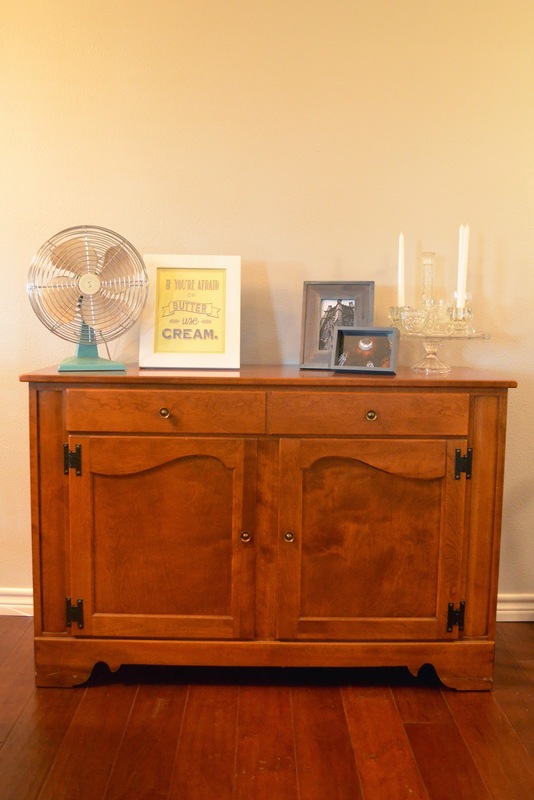 The other beautiful piece in my dinning area is my granmom's credenza or server. It sat in her dinning room in Denton, Texas on sea foam green carpet with a large mirror above it next to her formal tea service as long as I can remember. There were always the most beautiful arrangements on it and it was present at every family gathering in her house over the years. My parents recently gave it to me and I never expected it to complement the table so well. From the looks of things you would think my grandmothers bought these pieces together. While unpacking some boxes of my granny's I came across this catalog and sales add for her dinning table and chairs. The add was from 1983 and has her handwriting saying "our table and chairs" but she actually bought it in 1972 when they built the house. 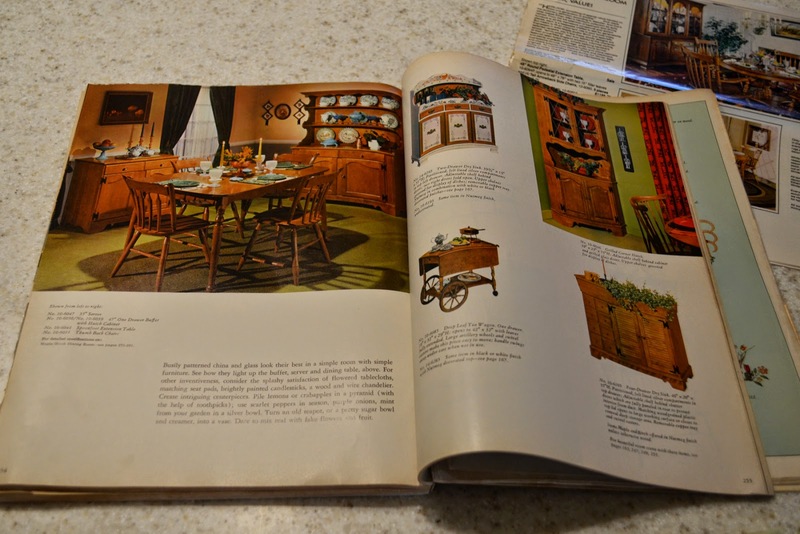 Much to my surprise the picture that my granny marked in the catalog had the very credenza that my other grandmother bought. In case you were wondering, that is just crazy. What are the odds that both of these beautiful pieces of furniture were on the very same page. These two pieces are so versatile and can carry the design of both traditional and contemporary, which is perfect for me. It is amazing to me how they can hold things like my great grandmother's burlap table runner, granny's crystal cake stand and my father's vintage fan. Now if that's not transitional design I don't know what is. 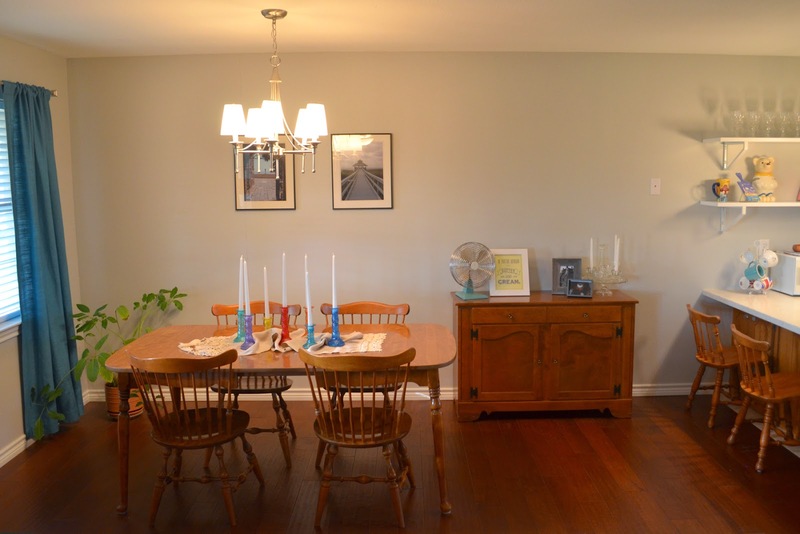 How have you incorporated transitional design into your own home? What family heirlooms do you have? So that is basically the coolest story and how awesome that you can share that with people that come to your house, love it! Love this post and your house!! !